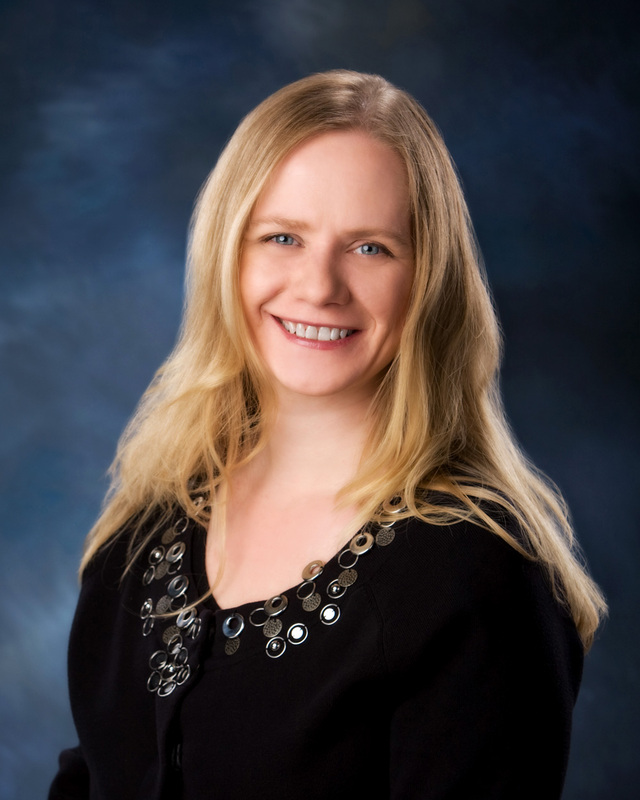 Laurra Warnke is a professional intuitive and author of the blog Intuitive Journal. She also works with the Akashic records to help you get clear on your soul level gifts and heal past life issues. She offers private individual readings and spiritual business mentoring. Our conversation focuses on stepping out of the psychic closet, choosing a spiritual path, and what those repeating number sequences mean. Today I have an interview with Laurra Warnke about spiritual awakening, stepping out of the psychic closet, and the meaning of repeating number sequences. I’m going to keep the intro short this week because I have a tiny cut on the very tip of my tongue which is making every word I say a little millisecond of torture. I’m also heading to Atlanta to see Tori Amos in concert. So, let’s just dive in and listen to my conversation with Laurra. I’m a professional intuitive and I wasn't always that. I've worked into that over the course of the years here and really through a lot of my own self healing and my own spiritual awakening. And right now I do akashic record readings and those have changed over the years where they're not quite as, let's just follow this one process. It's a little bit more of using pure intution, using numerology, astrology, along with akashic records. And so they've kind of changed as I've grown, and I guess a little bit of the journey, getting started, back in about 2008, I went through what I would consider kind of a dark night of the soul. And it was kind of a rough year. It was a very rough year. And there was some points along the way where I just felt very, very empty inside and like, I had really lost my connection to spirit, connection to source, and well, where do you go now? How do you get through this? And so it kind of began a process of self-healing, and working on a lot of issues of confidence self worth. Part of that was kind of having an inutitive awakening, a spiritual awakening, and I was starting to see repeating numbers at that point in time, and you know, what are those and where do they fit into the process? And at one point, really just coming to the realization, Wow, what I was doing for work in the past isn't anywhere where I need to be and at the time, I was working as an office manager for a financial advisor, and you know, that's a lot of numbers, a lot of paperwork, and a lot of desk work, and there was just this feeling of such emptiness and I know a lot of people, you know, you go through periods where it's, you're just, you feel you're not in the right job so you start going down that process. Well I need a different job and well, you know, as it came to be seen, for me, that job didn't exist in the traditional corporate world and that was kind of beginning of building, starting to build my own business and I started my intuitive journal website in the end of 2009 and by 2010, I was going through your course and a few others and started doing readings professionally and just wanting to help people overcome that feeling of emptiness and... there is more and you can connect with more. So I guess that's a little bit about part of my journey. Do you remember what it was like when you were on the other side of that decision and of course we hear the terminology, "stepping out of the psychic closet", right? Do you remember what it was like to still be in the closet? And sort of on the other side of making that leap? It was utter and sheer terror when I actually had the realization like, Ohmygosh, is this really what I'm supposed to be doing right now? And when I tried to go back into that, it was unawareness. Just like... And that's I think that's part of that dark night of the soul that you go through is the breaking through of unawareness to awareness of, Okay I'm supposed to be over here not where I am, and there was a lot of sadness with it as well. And just a feeling of what I'm doing right now to fill myself up isn't what I need anymore. And so it was a very scary time but yet when you keep waking up every morning thinking about it and, you know, it becomes very compelling. It's like you need to follow that thread. You need to pick up that thread and keep following it. And I think one of the biggest maybe turning points was before I'd even started my blog, I set down on the recliner, I had a digital recorder because that's what you recorded with back then, and I just started talking. And I recorded myself talking for maybe 45 minutes and all of what I had in my head I finally got out. And it was so, just refreshing and relieving to actually put it into words. And I think a lot of people kind of sit in that, you know, where it's a very mental state and a lot going on but to actually start saying it out loud, and I mean I was saying it to myself. There was nobody else in the room when I did that. And after that, when I did that, it's like, Okay, I need to keep going with this. I need to go forward and that's when I started my blog and when I started Intuitive Journal, it was really just like, more along the thought lines of, If I'm experiencing this, others are too. And for me, I felt very alone. Like there was nobody to talk to. I didn't have any friends in the spiritual community at that point in time and anybody that I knew in real life was definitely not on that same page at all and, you know, it makes you feel very, very alone at first. Let me ask you this when you're talking about the recording that you did. Was that more of a kind of venting the pain so to speak, or was it more like a declaration of your intentions of how you wanted to move forward? Do you recall the content of that? It was maybe a little bit of both, but it was getting out where I really stood on things. And so part of it was that venting, where well, No, I don't believe this anymore. I no longer buy into this and, you know, at that point I didn't have it all put together. So it was like a manifesto, in a way. Like you were just channeling this manifesto live in the room by yourself. Well how did that end up - did that kind of conversation that you were having with yourself, did it then become sort of what you were blogging about in the intuitive journal? Yeah, it actually, when I started to break it down, when I went and listened to it, it really became a lot of the different categories that I started writing about. And anything from intuition or using meditation or the repeating numbers and it was like, my brain dump, I guess, for starting a website. And, yeah, it was kind of interesting just - it started flowing! We really do. We really do. And it's the very first episode of this podcast if anybody wants to hear mine. But, there's somebody listening right now who is nodding along, they're connecting with you, you're really mirroring who they are and where they are right now. It is a choice to step further down this path, down the spiritual path, doing intuitive work in any form and just to know that there are so many people out there cheering for you and supporting you and that, yes, keep going. Just doing what you can every day. More people need to hear it. More and more and more, I mean, not that you necessarily want to talk about all the events of the world of the day but more people need that message. More people need the connection because I think so many people have forgotten their connection to spirit and we see some of these results when you hear it on the news, and it's needed. Your voice is needed, in whatever form. Whether that's a blog or video or just speaking to, you know, friends and family. One of the things I would say to somebody getting started: the whole stepping out of the psychic closet thing. You don't have to step out 100% out of that closet tomorrow. It can be a very gradual process. And for me, that was my process where there were points along the way where, Ohmygosh I can't step that far. I can't go that far. And so, it was maybe a little bit of a battle with what's in your comfort zone versus what isn't. But just know that each time you publish a blog post or you say something or you do something, each one of those is one of those little steps. And you know, you don't necessarily have to have, it doesn't have to be this big BOOM drop the bomb, you know, to all of your friends and family because usually when you're starting out, your confidence level isn't there to be able to support it. And so telling one person that you really can confide in. Maybe you tell two people. And maybe a year later, you tell more people. So I think part of it is just keeping taking those steps forward where you are comfortable but always pushing yourself just a little bit to come out a little more and a little more and a little more. So I don't know, I hope that helps somebody out there. Well, and if I can add to that, I would like to say that your friends and family are not necessarily your clients or your audience. And I kind of had the realization that I was keeping myself from doing it or putting myself out there because I had these 3 or 4 imaginary people that I thought would disapprove of it or something. And they weren't even really my family. My family's pretty supportive, but I know that we all have this cluster of people that we think are going to judge us or you know, like give us the side-eye or whatever. And that really hangs in our minds eye or whatever. But once I started doing it, I realized real quickly the crowd of people who wanted to hear what I had to say and were excited about it so completely outnumbered whatever that imaginary group of people is that I thought I was worried about, that it obliterated it. It was like, I'm not working for those people. Are you going to open your mouth and speak your truth because of these three people over here that have got their arms crossed, or for this crowd of 8000 people that's like, cheering you on, you know? It's really kind of, like you said, it is a choice and it becomes an easy decision in hindsight. So I don't want to belittle it for anybody who is trying to make that choice, but I want you to know that there's more people on the other side of it than this list of people that you think will disapprove. By tenfold, you know? And another thing too about the isolation. I've kind of come to believe that maybe we're dispersed through the population for a reason. Like if we all lived in the same town, it would be the coolest place ever, but the rest of the world would just be a nightmare. And I do kind of feel like maybe we're strung throughout the globe like nodes on a network and, in order for that network to be activated and to sort of wrap and enfold everyone, you are actually contributing your part. It's like you're lighting your little candle in the crowd. And that's really the choice that you're making. Like you said, it's not - I wish that we could be like overnight hugely famous and everybody in the world would know what we're doing, but it's much quieter than that, isn't it? What are some of the things you support - one of the things you do in your business is you support spiritual entrepreneurs, people who are trying to build their business and fulfill their calling and do this professionally. So what are some of the things that you notice people bringing you, that they seem to be the most hung up on? Um... anything from publishing the first blog post to doing a video... I mean everybody has their points of, you know, we're almost panic attack: Ohmygosh I just can't go there, I can't do that. And yet maybe they're getting their word out in a different way. Some of the more current clients that I've worked with, it has been about adding an additional piece. Like they're doing the work, or they're starting to do the work and, for some people it is, it's about, Let's get your first clients, let's get your practice clients. There could be some hang-up right there and others are a little further along and maybe they're connecting in person and they want to bring in and do a website presence. So that's a lot of the mentoring that I do. Is kind of like adding pieces in and for others, maybe they have the website but they have not built a newsletter and the thought of writing, you know, writing newsletters, publishing that... So it varies from person to person. It's just like, it's all one more step. One more step forward. So you sort of just support people wherever they are in whatever they're missing from the mosaic, you help them kind of identify that and just do one thing at a time, add one more element. That seems to be right now how it is working very well. And so, otherwise I think it can be very overwhelming starting out, and I do think that when you get... Building a website, to me, is kind of like a birthing process. You're birthing your baby and it's like, here's this creation of yours and sometimes getting involved a little too early in that process, sometimes you need to have thought through what am I going to be writing about, what am I going to do, and you've gotten a few pieces in place and okay, and then well, let's bring one more piece in. Let's bring one more piece in. I think a lot of people get distracted and I think some of the tools of business and communication and technology - all this stuff is amazing, right? It allows us to be everywhere in the English-speaking world at this moment and it's really pretty cool. And I believe that it's very spiritual. I think technology has a very spiritual element to it for that reason. It's a democratizing force over the long period of time that it will be with humanity. We're going through some birthing pains with that for sure, but one of the things I think people come to me and they have a little bit of everything, or they've studied a lot of different modalities and techniques and tools and maybe done different certifications. One of my ways of approaching mentoring people is just to kind of treat it like, We all have this cool bag of stuff that we bring with us: life experience and wisdom, the practical things that we've learned how to do and the books we've read and, so to me it's about everyone's focused on all those little pieces, right? Like, I gotta have a YouTube and I gotta have a blog. And they're kind of overly focused on the little bits and pieces, whereas to me, the thing that makes your practice YOUR practice or your Purpose is it's kind of like the glue that holds all those things together. You're sort of the grout in the mosaic. You know what I mean? So my goal is to always show someone how to connect all those things, and even in some cases, to disclude some of the things that they're doing. Like you don't need to do that. Somebody told you to do that but it's really not serving a purpose. So one of my best pieces of advce for someone who is trying to do this is to actually follow where the clients take you. Like, you don't really go off in a vacuum and create all this stuff and then come back and be like, TADA! Here's what I got to hit you over the head with. It's much more practical to put yourself out there, see who you attract in your practice and then look at the issues that are being brought to you. Look at the ways that you're mirroring the clients. Is there a pattern to who's showing up for you? It's almost like the clues to your Purpose are within the people that you attract in a way. They're sort of showing you who you are and what you're meant to do for them. And so if you approach it as a, Here's this person, this is what they're presenting me with. What do I have to address that for them? What do I have to support them in their intention or to fix their problem, whatever it might be. And if you just keep doing that, it actually defines a lot of what you do, right? I mean, you write blog posts that answer the questions that people bring you. You create videos and podcasts for the same reason. I mean a lot of what we're doing is we're answering questions that our collective audience brings us over and over again and that's how we decide what we talk about. So I'm interested because I've known you since you started out doing this and that's a really cool perspective to get to see. What has evolved about your practice since the beginning? What's different about who you are now as an intuitive? Um, you know, I would say, just confidence. And just seeing a lot of the patterns through many different clients. The same, a lot of the same issues coming through, just finding the thread and the patterns and as far as the modalities and toolkit, the big bag of tools, just keeping expanding on them. Mainly it's because I love it. I love learning a new tool. Is integrating all of those tools and rather than just hanging onto only one tool but to, you know, that does kind of start to become, Okay this is your practice. This is how you are doing healing work. This is how you're identifying problem situations. So it has definitely matured, I guess would be the word I'd use. Matured over the years, where when you learn one thing at first, its like, Oh I have to hang on to that for.. and keep doing that. And okay, now take a breath, you can bring in this one and you can use this tool. And just even a deeper understanding of the tools. Sometimes when you learn a modality, it's very cut and dry. Do it this way, x, y, z. This is step 1, 2, 3. But yet you don't necessarily maybe all the time get where did that come from? How did that develop? And that's where I kind of am at now, going just deeper into some of the history of some of these pieces, like how does it all connect? And I guess I sit at home and contemplate how does this connect with this? How does astrology and numerology and akashic records and all of these other pieces and your intuition and these other different divine energy streams... how do they all connect? How do they all overlap? And you know, it's kind of... I don't know there's a lot of different pieces to it but I just feel that there's this very large common thread. There's this one piece that you mention that I really wanted to be sure and talk to you about and that was the divine numbers, the repeating number sequences and this is one of my favorite personal topics and I actually always had intentions of blogging about it or writing about it a lot more because I have this one post that I did about the meaning of 222 and the meaning of 11:11 and both of those posts to this day get so much search traffic in Google that you would think my site was entirely devoted to that or something. And I do have a numerology page that I'll link to in the show notes, but you've made this more of a focus topic in your practice than I have. So how did you become interested in repeating number sequences? Well for me it was just seeing them myself and becoming very curious about them because like many, many others that are tuning in, you see them much more frequently than would be normal. When you're seeing one number or different combinations of numbers and you're seeing them 6, 7, 10, 15 times a day and yeah, it's there to get you to notice. That you're seeing them. So it's like, Alright, now what? So it's, I guess the way I would look at it is, it's taking you down a path. And just walking your spiritual path. So it's a very easy way for angels to connect with you. Just on your every day choices that you make. And aligning you with a higher vibration. So for me, thinking of each of the numbers as an energetic vibration, I think is helpful. Where the vibrational energy of 222 is slightly different than 777 or something else that you might see. And really it's learning - where most people I think get stuck is, you see them, and it's really cool, Oh that's neat, and then you stop. And you go back to your regular life. No! Hang on - they're there for a reason. I see it kind of as two different levels. I mean it's spiritual communication but it's also help for you to take some next steps in your day to day life, and for me, one of the biggest times that I saw repeating numbers, it was when I was getting ready to leave my job. And so I was working full time before, and in June of 2011, I left my job in order to be doing this work full-time. In the two week period, maybe even probably a month, before I got up enough courage to give my notice, like the day before the day of, I saw any and all repeating number patterns like, about 40 times in a row. And it was like, Okay, thank you, thank you, thank you for the validation. I can do this! I can go turn in my resignation, and I did. So that's just one piece of it. But it is really a, it's there for you to hear it and, Okay, if you're thinking thoughts of starting your own business, of leaving one job for another job, the connection with the energetic vibration, it's like, Okay, maybe there's a better vibration at this new job, maybe you don't have to deal with as much stuff. And it's like, Okay so there's something that's a higher level of connection for you. And just taking that time to really think through it. Yeah, I think there's kind - and this is my approach, you don't have to necessarily agree with it. I'm interested in seeing where your purpose, where your perspective, sort of adds to my understanding of this. either flashing a light or setting off an alarm or ringing some bells or showing you these numbers, and it's meant to get your attention, first and foremost. And then I also do the same thing that you said, which is I think, Okay wait a minute, what was I just thinking about? Because you're right. You're usually in a semi-conscious state when you see these things. It pulls you out of a moment of daydreaming while you drive or something like that. And you see it on the dashboard or you see it on the, you know, car in front of you or whatever it might be. And it sort of takes you out of it. So the first thing I try to do is capture what was just being flagged for me? It's like the Universe is observing the security footage of my thoughts and they have time-stamped that moment for some reason, right? And so the first thing I ask is, Okay, what am I thinking about when these, this phenomenon keeps occurring, because that's being flagged for me. That's telling me your own thoughts or your own wisdom right there. Pay attention to that dude. It's already there. It's coming through. And then - but there is this other fun element right? Of interpreting them as this kind of Morse code from the beyond or whatever it might be. So what - you have a free report with repeating number sequences and you define triple numbers from 0s to 999, and all the things in between. So - well tell us about that report, first of all. What's all in that? Well it is a little bit of a just kind of history of kind of like we've talked of here, of how kind of it came to be for me, but just a little bit more expansion on each of the numbers and it's the, What do they mean for me? What am I supposed to do next? And so, it is validation. Yeah, you are supposed to do something next. And maybe it's going to that workshop that you - What happens is, we shut down so many good things and I think of the repeating numbers are there to, Hey wait a minute! Stop. That was important! Like you said, it kind of gets bookmarked. Like, let's go back to that. For example, you saw an advertisement for some type of a workshop. Oh, that would be really cool to attend. That'd be great. And then all of a sudden, reality, the I can't afford that, I can't get away from home, I couldn't take off of work, and you shut it down right away. And I think sometimes it's like, Wait a minute! Stop! That was the path right here. Go to the workshop. Follow that path. So that's part of it. But just to kind of also, validation that they're pointing you in a direction. They're pointing you in a better direction. A good direction. And just, it's like, Okay, time to wake up here. Do you have meanings for individual numbers in there? Like if somebody is seeing 444 and they want to know what that means, do you have sort of like a dictionary of meanings for those numbers? Yes, I do. I have a short summary on each of the main numbers. I don't go into too much very specific number patterns, but for 111, 222, 333, all the way through 000, I have all of those and 11:11. So each has a nice little summary paragraph so that you can just kind of get acquainted with the energetic vibration of each number and like, Okay what area is this really connecting with? Alright, this is guidance and reassurance. Or this is just a big YES energy. So that you can kind of use that and apply it to what you were thinking about shortly before you saw them. How did you go about discovering the meanings for those numbers? Is it something that you researched and compiled, is it channeled information? Where did you get the meanings? A lot of it was just either my own intuition or my own channeling that I did. To just get some of the basics down and if I were to go and do them over, which I think I probably need to, I think just having this many years of understanding, I think would just kind of add a little deeper perspective to what I've already come up with. Well that's cool because then that means your resource is an additional set of wisdom. It's not just, you know, some - regurgitating something somebody else has already said about it. I mean, I know some of the big ones will probably have very similar meanings for whatever, but I like the fact that you're offering an additional YOUR version, your take on these, so that it's something if you're interested in this phenomenon, you can add that resource to all the stuff that you're collecting and bookmarking. Because I know I have a page of notes linking to different things that talk about this and discuss it. And I think one of the things that's kept me from building more resources around it is because I really would have to go in and reveal those meanings for myself. There's two different ways you can approach that project. You could research and compile something, just like someone might do around color psychology. Or there is this other approach where you can actually add something to the canon, so to speak. And that sounds a little daunting to me. And I'm kind of a procrastinator about things that are daunting. But anyway, I'm very fascinated with this subject and I definitely wanted to hear what you had to share about it. I'm interested in something else and I know people are going to notice this about you when they see your name in the title of the blog post, and on the podcast episode. You spell Laurra with two Rs, and that was a conscious decision. You actually changed the spelling of your name for an energetic numerological kind of reason, correct? When I was studying numerology and astrology, you're talking about some numbers are fortunate, some numbers are not fortunate. I had a name reading done, and it really wasn't coming up to a fortunate number and so this was one of the recommended numbers or vibrations here adding this extra letter in. There's different ways you can do it, but this was like, Okay. So it was really trying it out. Because for anybody who's kind of thought, either they don't like their name or they just want it to resonate to a higher vibration or more fortunate vibration, like, Oh... and I'm sure if you've been anywhere around any, you know, there's a lot of people that have done this, and I guess I will say, even after this long, I'm, it's still difficult to step in to it. When you are looking at changing the spelling of your name, there's different levels of it. One would be changing it on your Facebook page, changing it on your website. And then there's another level which would be changing it on your bills, your chequing accounts, the way you sign things. And then another level of it would be actually going so far as to change birth certificate information. And to be fully stepping into that number and for me, I've only gotten to a certain point of being able to do that and it's interesting. So am I going to say it's like, Oh this is perfect! Everybody should go do this! No. I think it's something to be really thought through as to whether or not you want to go that path. I think it's perfect for some people. And some people can embrace it immediately and then there's others probably more like me that's like, Hmm, got a few reservations. Not so sure. What am I missing? Am I not seeing this the way I should... Maybe I should be seeing this on a bigger picture? So I don't know if that helps anybody down the way. Take your time with it. If you're thinking about doing it, take your time with it. And one piece I will add in: if you're looking at traditional Western numerology, there's Chaldean numerology as well. When I was doing this, it was using Chaldean numerology and I'll let you look that up. There are differences in how things are calculated. So I think if you're considering doing it, that you are very sure of which avenue you are going down and why. And that's one of the things that can just help you step in to it if you do decide to change the spelling of your name. I think you could also think of this as your sort of pen name. Right? Like, there are a lot of people who use a different author name. There are people who use a different name for their spiritual practice than maybe what they do in their everyday lives. And there's lots of different reasons around that. And something people ask me about a lot is, Well is that inauthentic in some way? Is that, kill the energy, for you to "use" a different name. And I actually think what you're talking about doing could be combined with the idea of choosing a name for yourself that represents this new path, or that represents this side of you, you know? Because I have a lot of other sides. I don't walk around all day long living and breathing intuition. It's partly my career and I'd like to think it's part of my Purpose to be doing this. But there are lots of other parts of my personality where I'm not necessarily that person all the time. And I was even thinking as you were talking about how you were using it for yourself personally, I was thinking, Well it sort of represents you in this mode, right? Like it could still be something - it's like a special costume that you wear, or a piece of jewelry that brings you power, or I think that maybe that would be an in-between way of approaching it. Maybe you don't change your legal name but maybe it becomes part of the decision around who am I going to be in this new aspect of my life, and what do I want to present? I know people who've entirely changed their name as a part of a sort of willful change of their persona and who they are and how they see themselves. So I think that could be an empowering part of it. And you could also get a name reading done if you're in that process and see where is it fallen out and maybe that will help you make a decision about a name that you're considering using. Yeah. I have seen quite a few that maybe they've even dropped their last name and used a different last name as, like you said, a pen name in essence. But yeah, it becomes the persona. This is part of me in the business, and this is what I'm portraying. I remember listening to a video of somebody who used a pair of glasses, special pair of glasses, and when they put the glasses on, that was their persona. And you know, they took on that role that they had developed of, Okay, when I put these glasses on, it represents me in this business mode. It was very interesting. I have a friend who wears a tiara while she does her make up. Laurra: Oh I love that! It's kind of a similar concept. But yeah, like putting on this special aspect of yourself. Yeah, I like those kind of spells. I think that's very powerful personal magic to dabble in. So what's next for you? Do you have any special projects that you'd like to do? Well, I guess if I say it out loud, it must mean it's real! I am looking into - I'm getting just the very basics of getting started doing a podcast and so I'm just, like I said, in the beginning stages of that. But you know, now that I've publicly announced that, I guess I've made it real. And I guess I will be continuing on ahead with that. Well that explains why I was compelled to invite you then! You were drafted by the Universe. I guess my email must've been, had a lot more weight to it than I realized. When I sent you that you were probably thinking, Oh no, they know about the podcast! They're gonna make me do it now! Listen, Laurra, it's been such a pleasure catching up with you and I would love to talk to you again and do more podcasting with you in the future. But tell everyone where they can go to find you online. 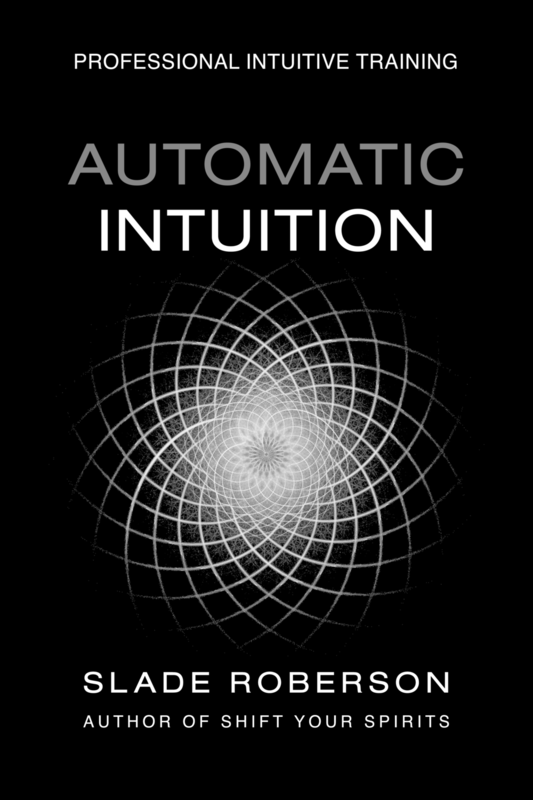 Okay so my website is intuitivejournal.com and yeah, if you head on over there, I have a free report on Repeating Numbers. And just kind of get you going, get you on the path and you can read a little bit more about me and the journey and everything. That would be the best place to start. That's terrific, Laurra. Thank you for coming on the show. You are welcome. Thank you so much for having me. It's been awesome connecting with you again, Slade. Give up. Anger jealousy what people think. Just stop trying to control the universe. It’s like trying to grab a fish under water. It’s nice - calm powerful serene - not to care in that desperate grasping way. It doesn’t mean you can’t do all the things you want to do - but let them come to you. You cannot miss what is yours, what is truly meant for you will find you.